When Caren Holtzman and Lynn Susholtz look around a classroom, they see "a veritable goldmine of mathematical investigations" involving number, measurement, size, shape, symmetry, ratio, and proportion. They also think of the ways great artists have employed these concepts in their depictions of objects and space—for example, Picasso's use of geometric shapes in his cubist still lifes or contemporary artist Tara Donovan's room-sized sculptures of everyday items. 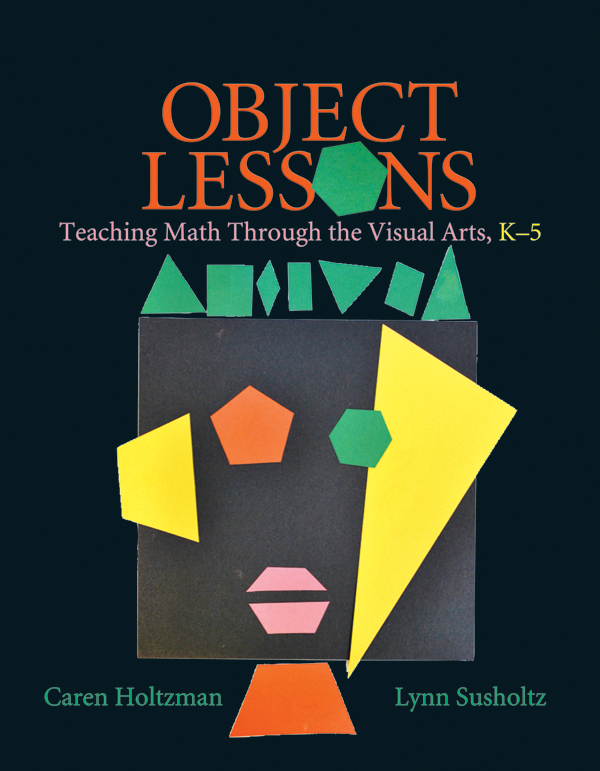 In their new book, Object Lessons, Caren (a math educator) and Lynn (an artist and art educator) use a highly visual approach to show students and teachers the art in math and the math in art. Integrating visual arts into math experiences makes the lessons accessible, engaging, and meaningful for a wide range of students. The book and its accompanying CD feature a wonderful gallery of images—including art photos and student work—and a collection of links to art education organizations, museums, and websites that focus on the work of forty major artists. Caren Holtzman began her teaching career with Oceanside Unified School District. She was a classroom teacher (grades 2-6) for ten years. She subsequently began her work as a faculty member at the University of California San Diego's Education Studies Program (EDS). Lynn Susholtz has been involved in art and education for the last twenty-five years. She has developed curricula for and taught in private and public schools, community centers, and social service organizations, with people of all ages and backgrounds, throughout the county of San Diego.